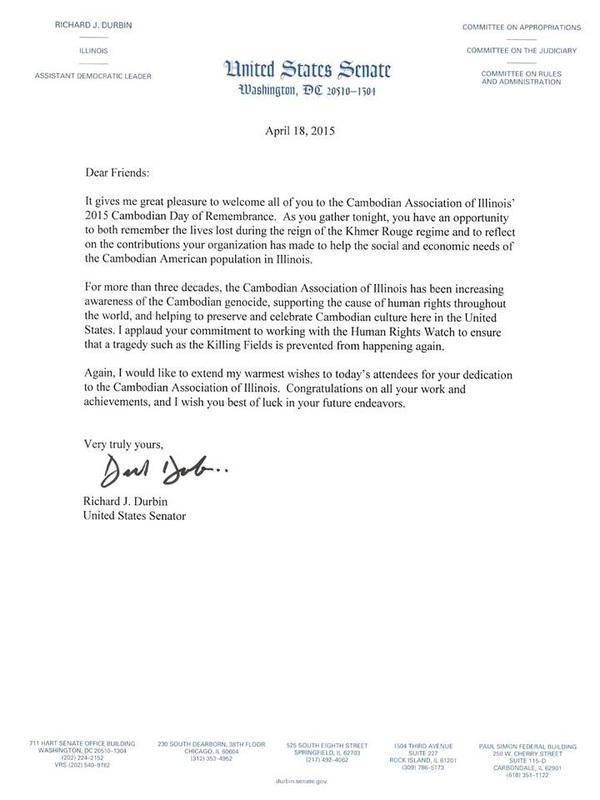 "We honor all those Cambodians who fled from the horrors of the Killing Fields, on foot through land-mined jungles and muddy waters, seeking refuge. 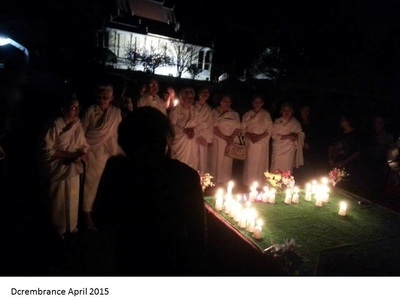 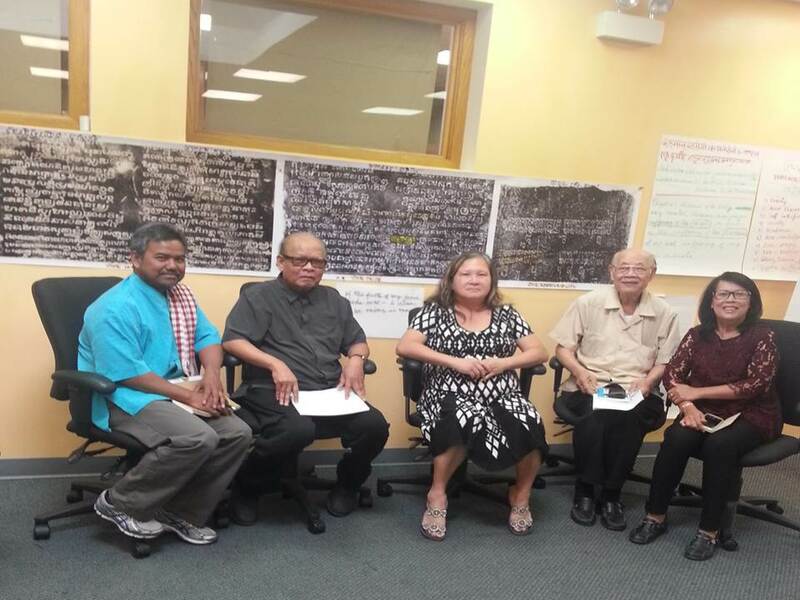 We honor all those Cambodians who languished for years in refugee camps in Thailand and the Philippines, not knowing where they would go. 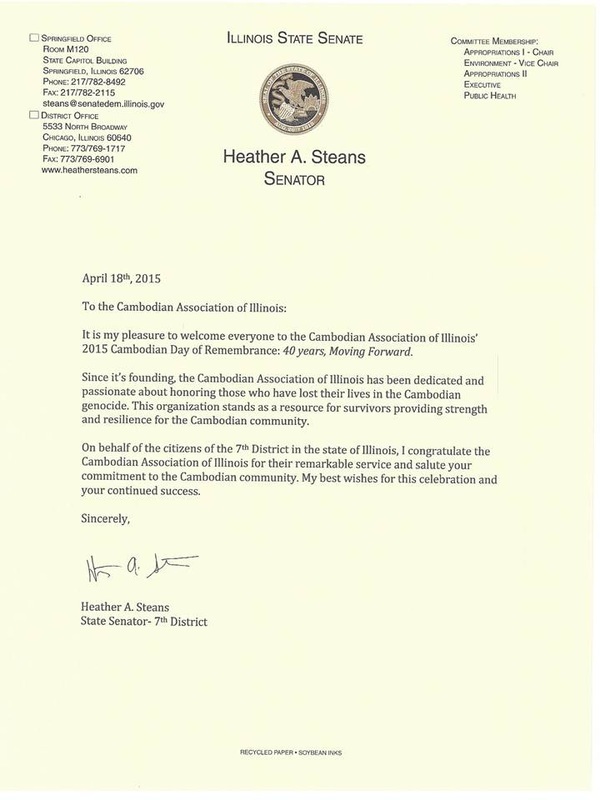 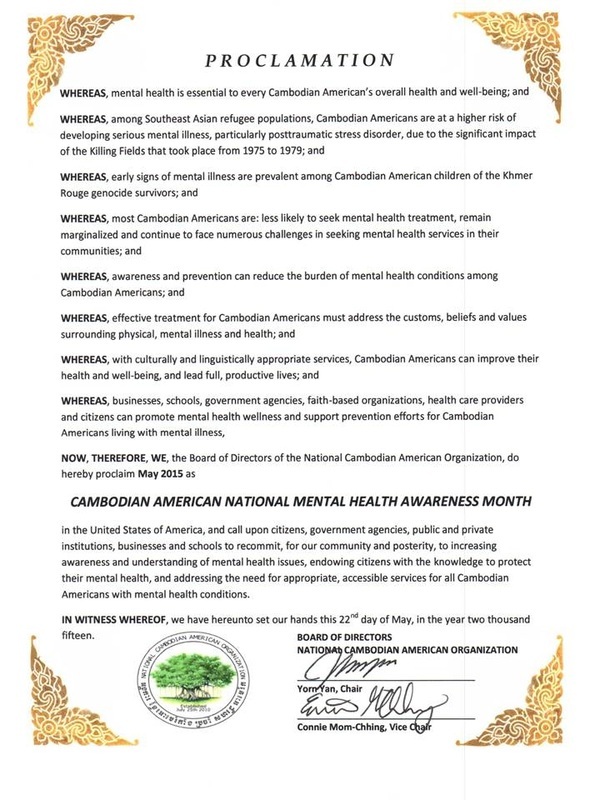 We honor all those Cambodians who work hard for American dream, and have become productive participants in American society while preserving their cultural heritage. 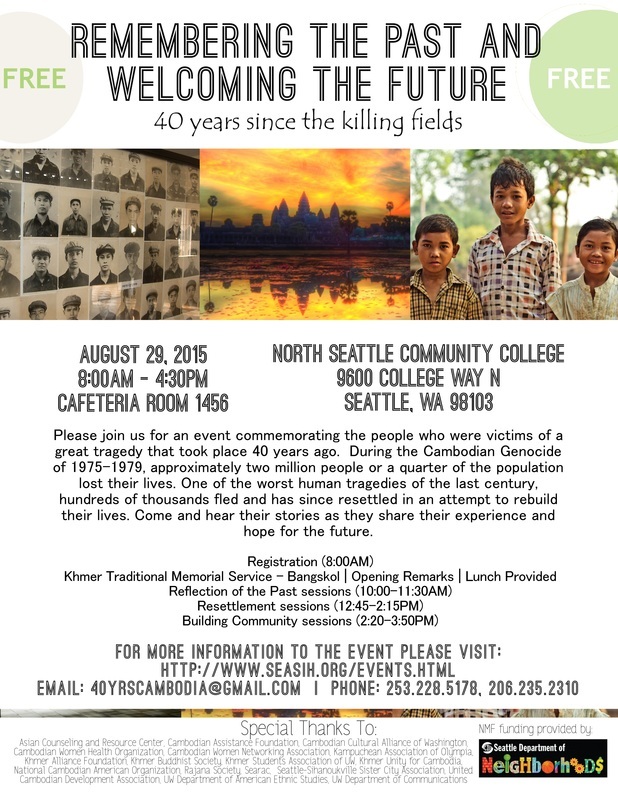 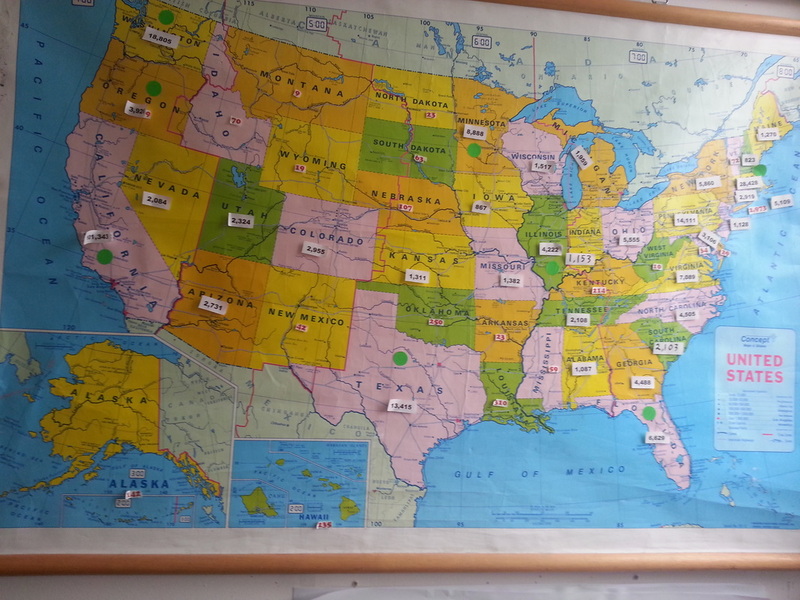 Our parents, brothers, sisters, and friends who did not have that chance. 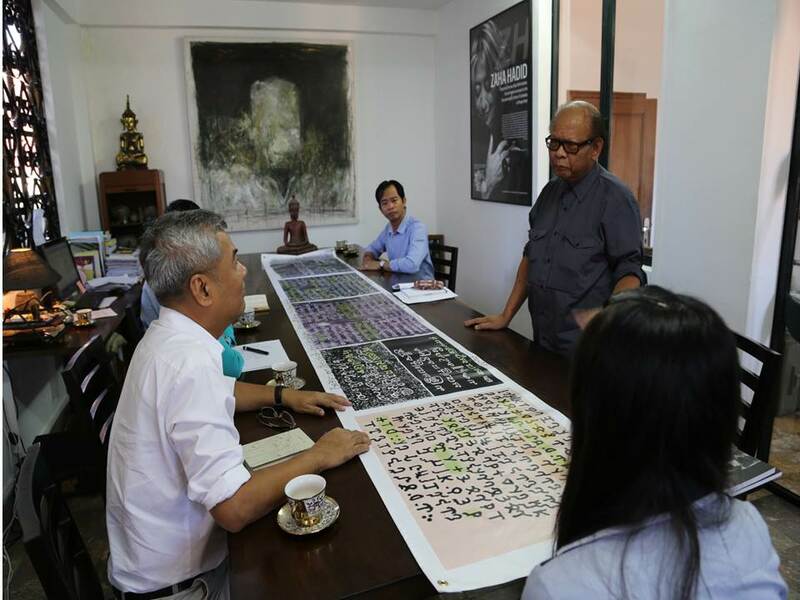 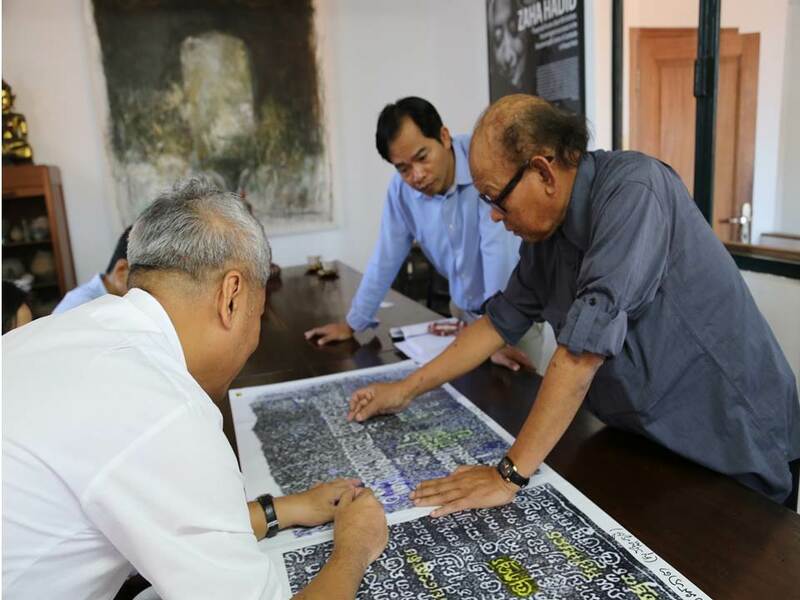 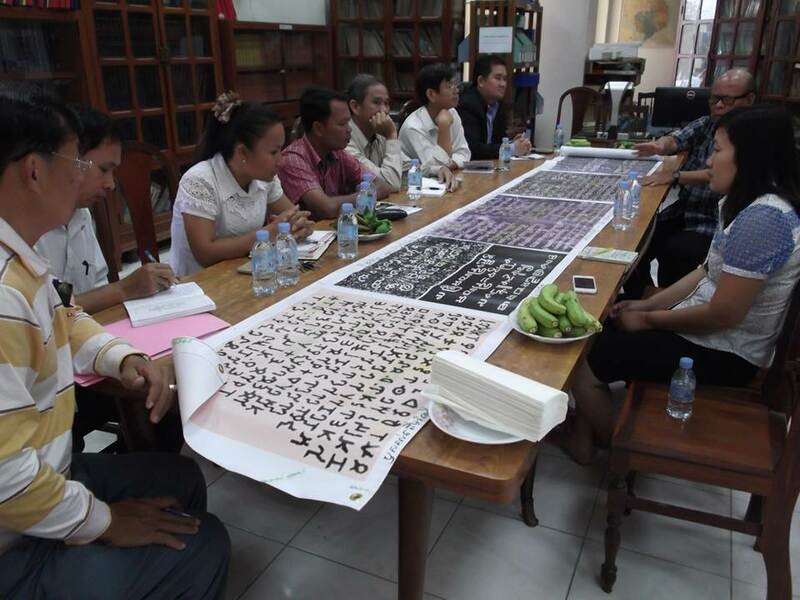 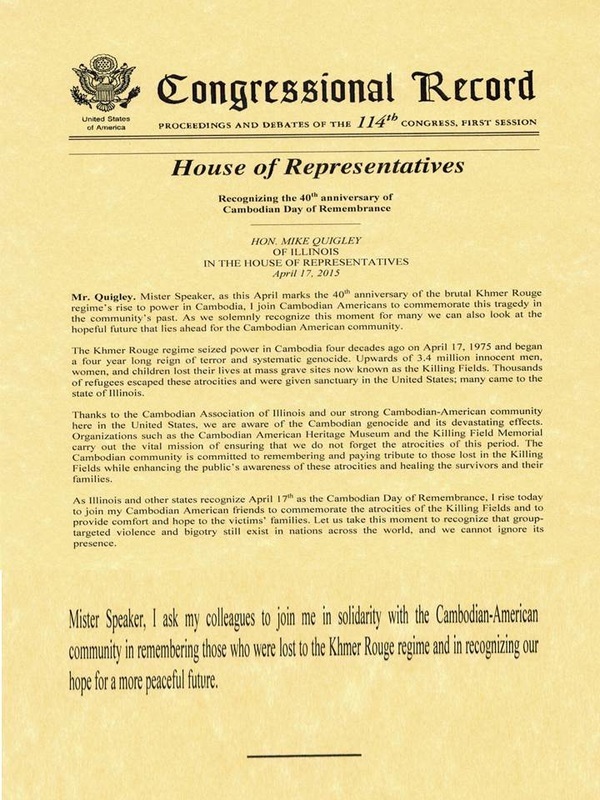 We honor their memory through our work of Killing Fields Memorial." 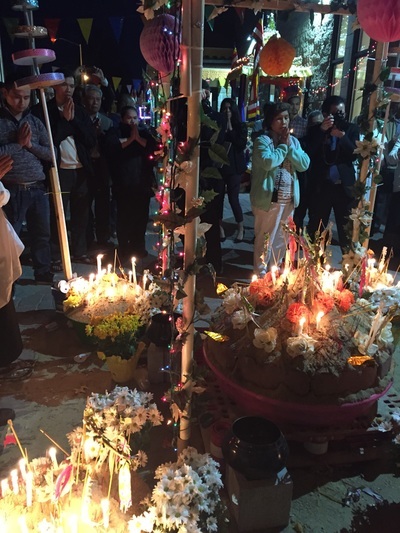 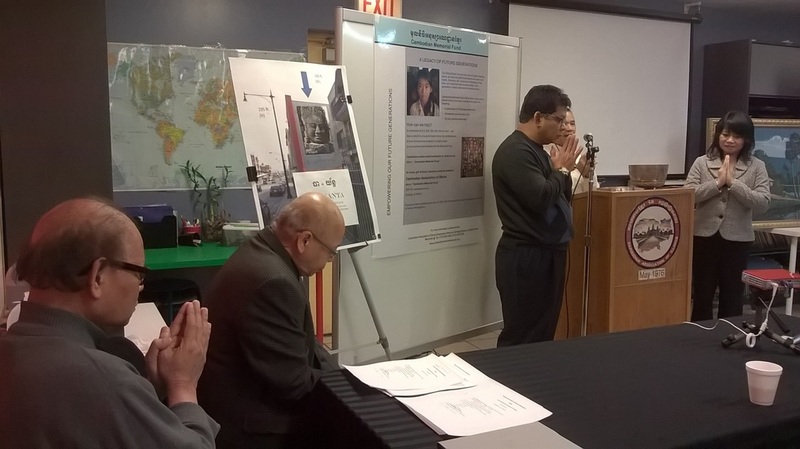 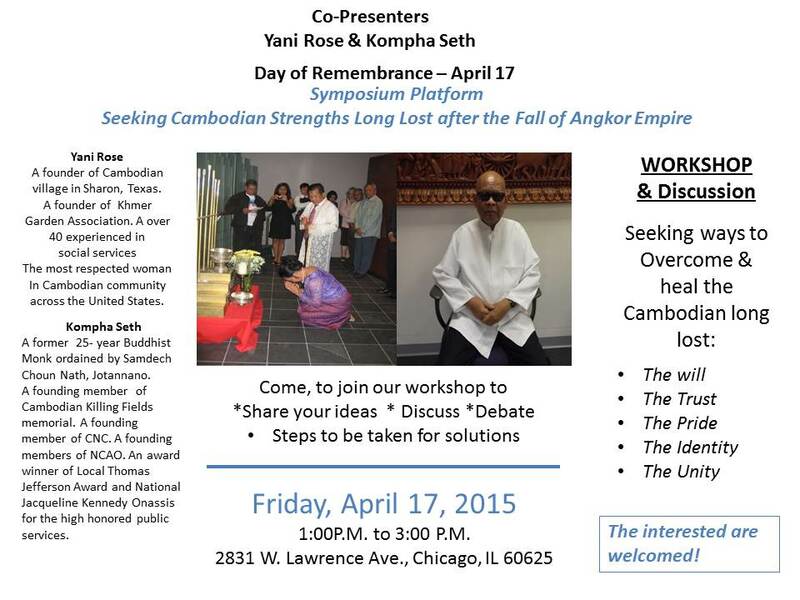 Former Christian leader of north America and colleagues join gruta workshop to promote identity, unity, pride, and responsibility during "day of remembrance" April 16th, 2016 at Chicago Memorial. 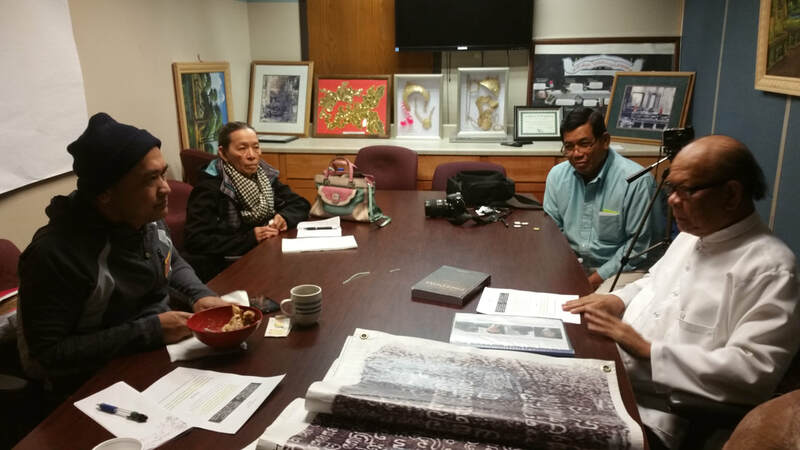 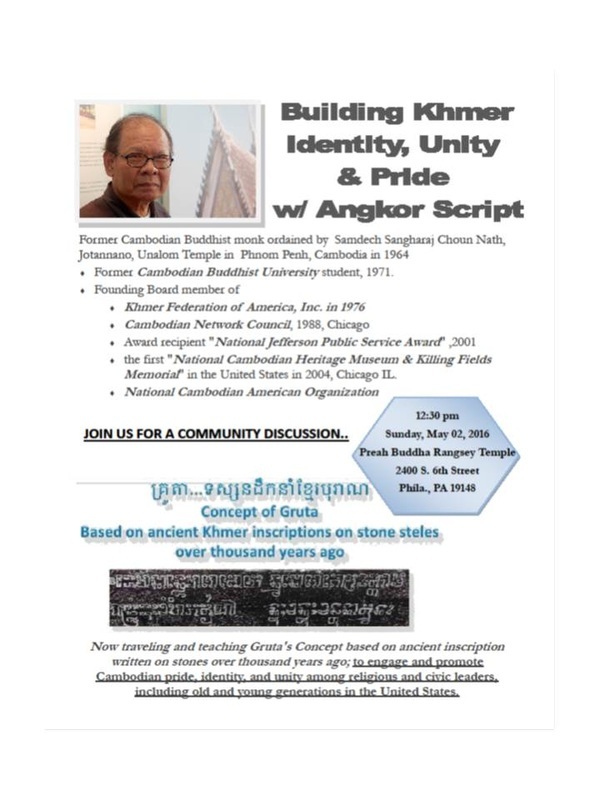 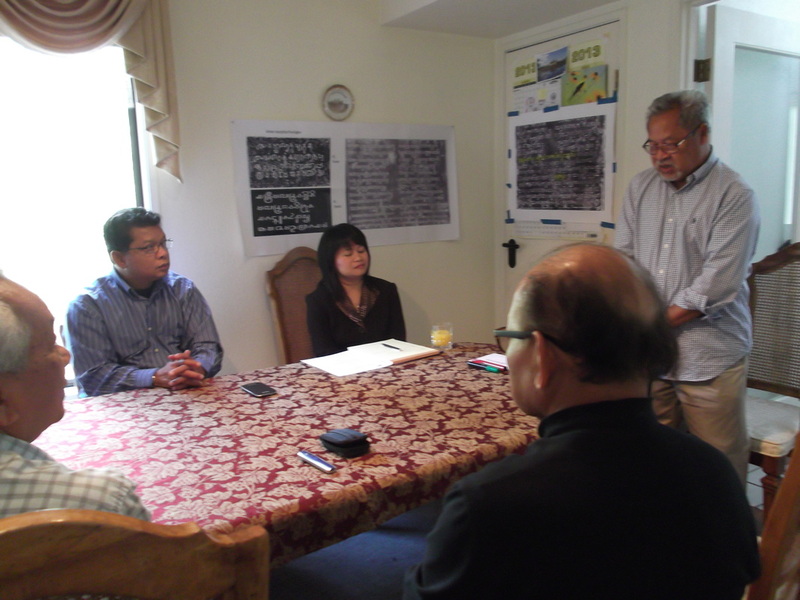 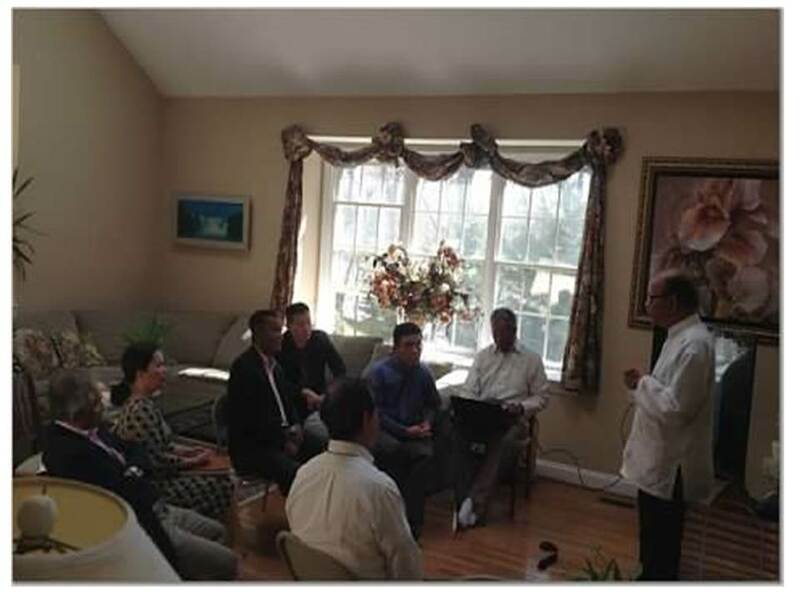 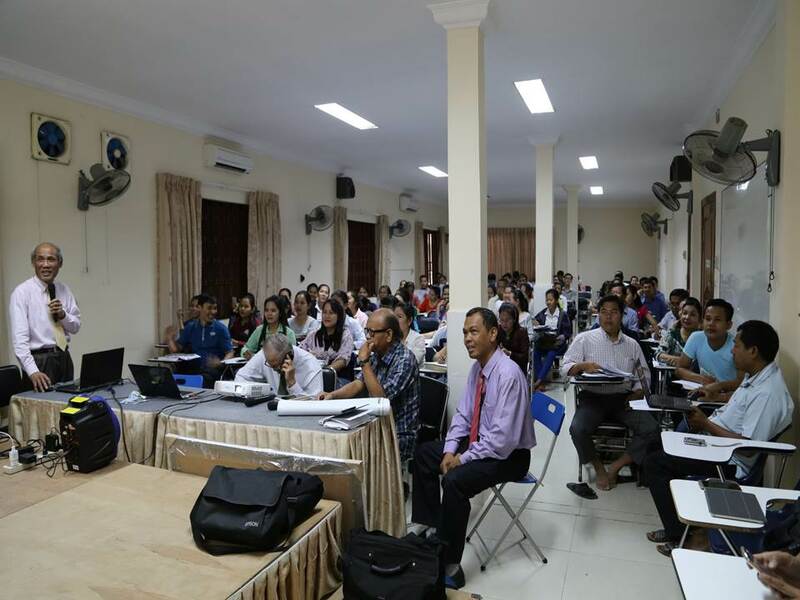 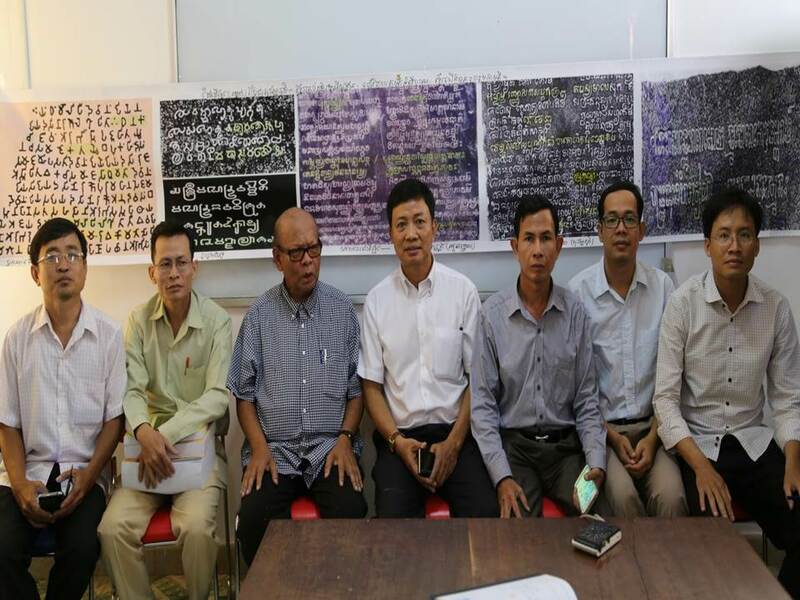 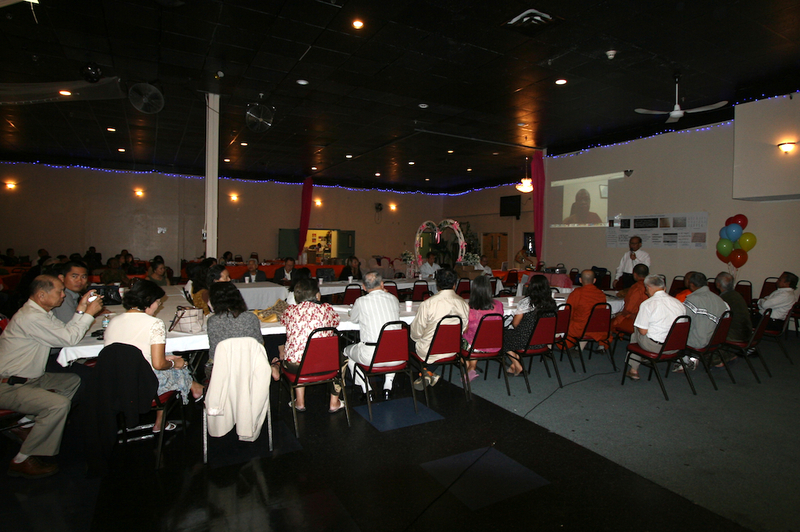 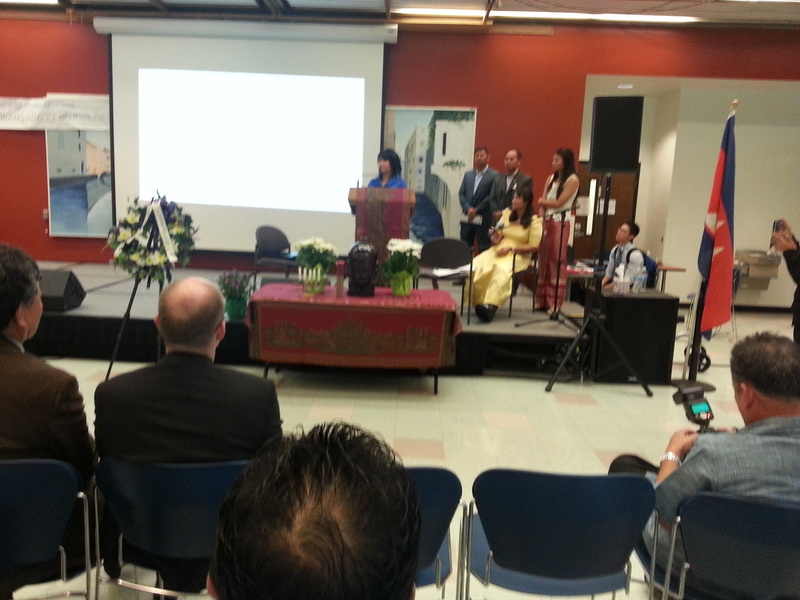 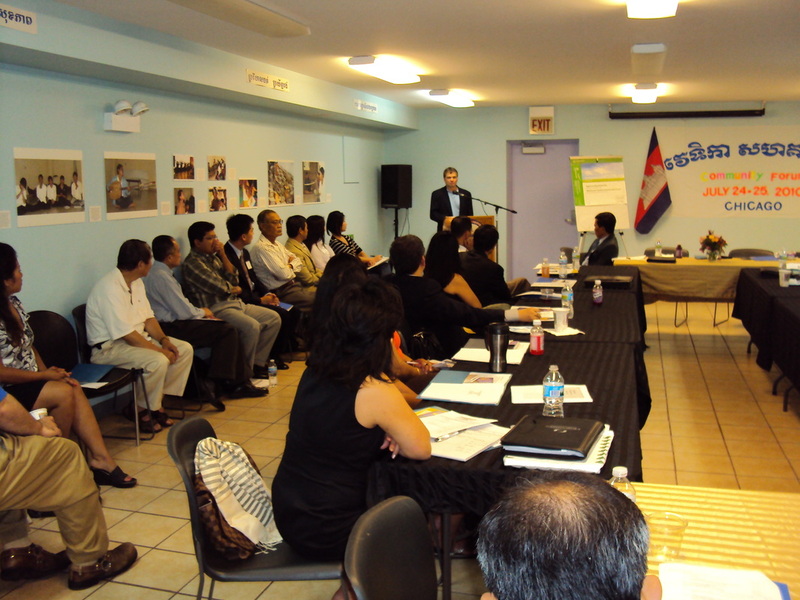 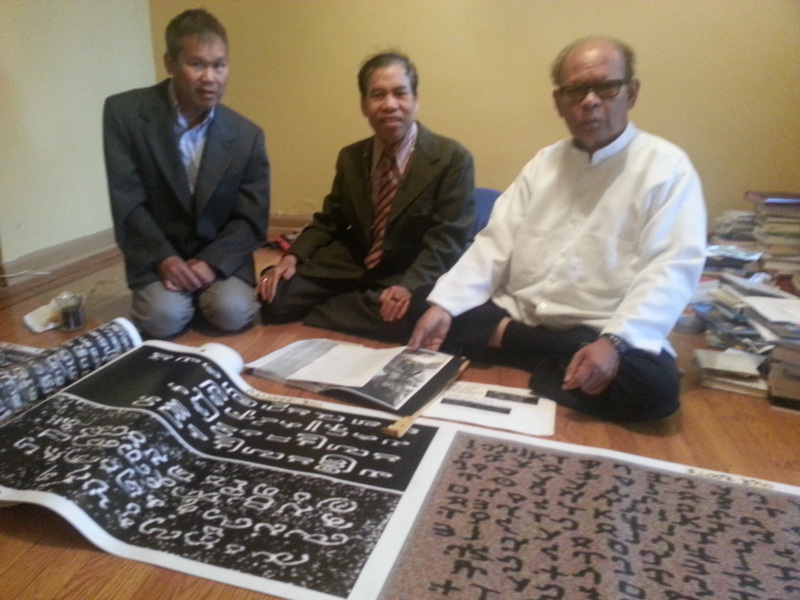 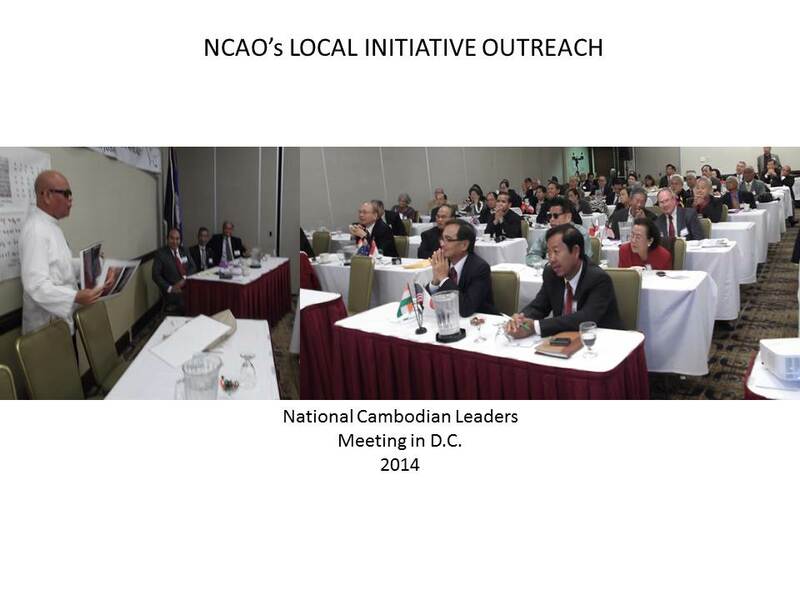 In October 1988, the key national Cambodian leaders held a special planning meeting at Cambodian Association of Illinois to prepare the next morning conference to establish the “ Cambodian Network Council” (CNC) under the leadership of Dr. Kol Pheng , pioneered by Van Sar and teamed up by Mam Hean, Dr. 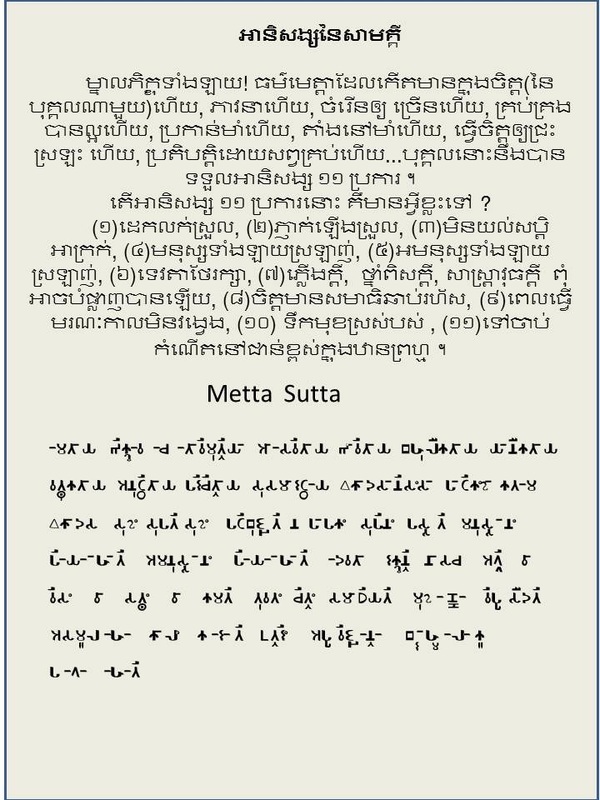 So Chhunly and Kompha Seth. 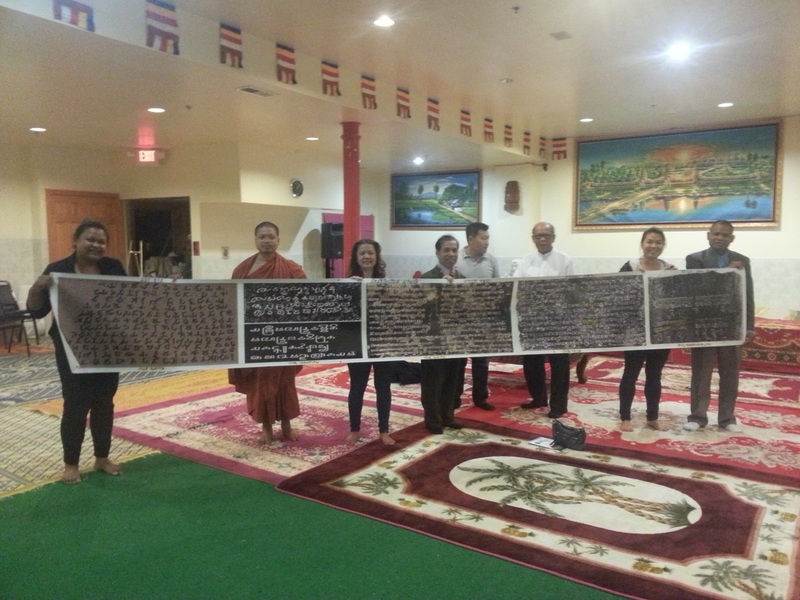 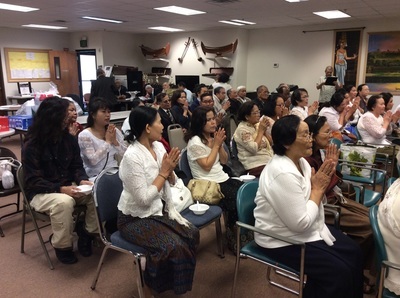 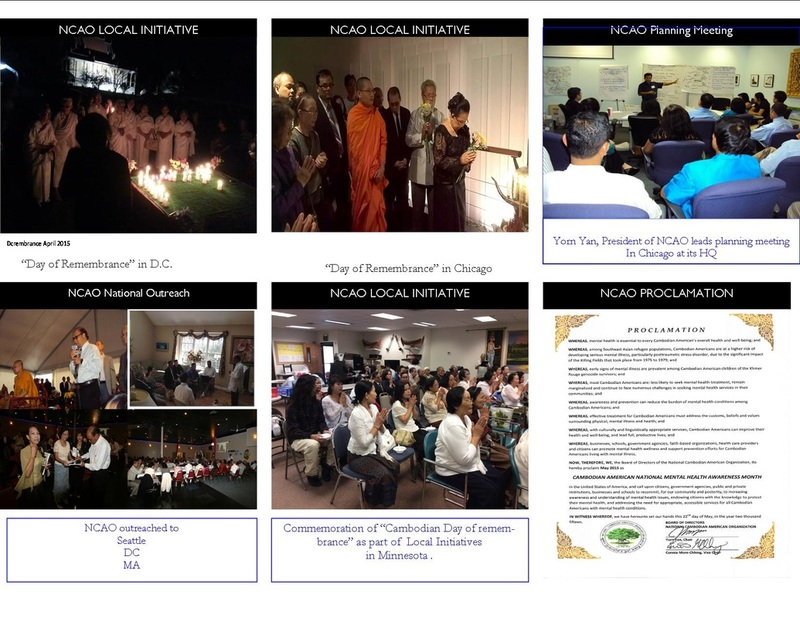 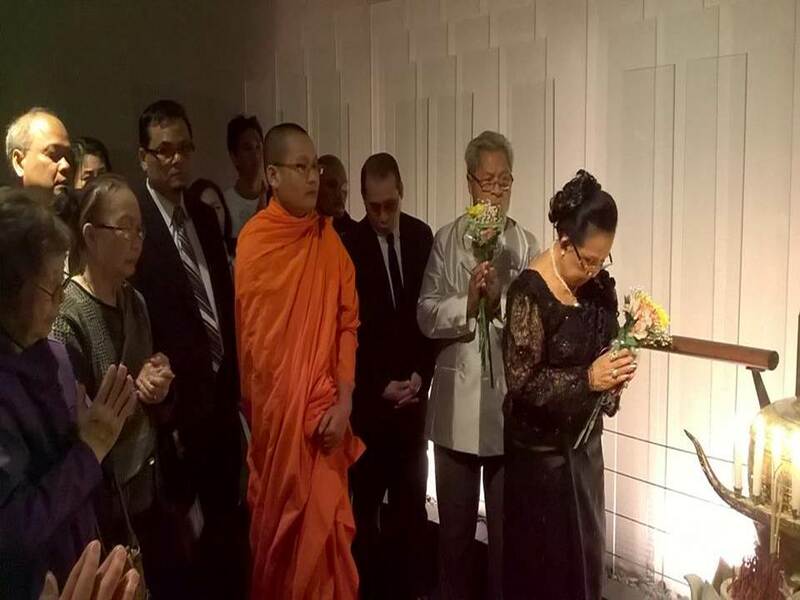 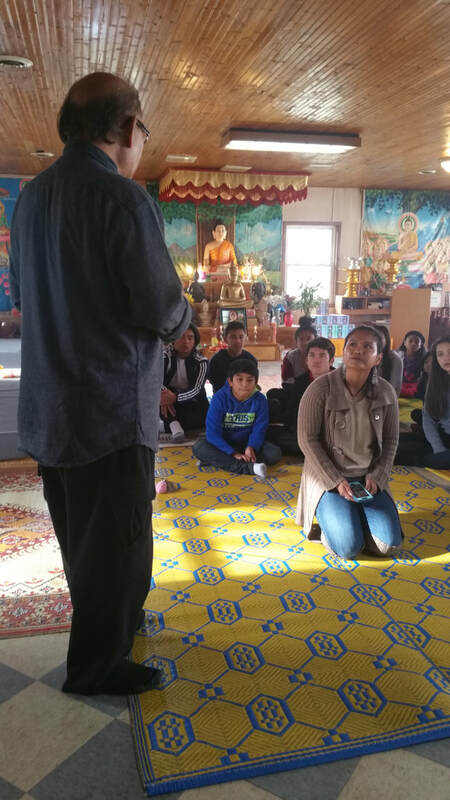 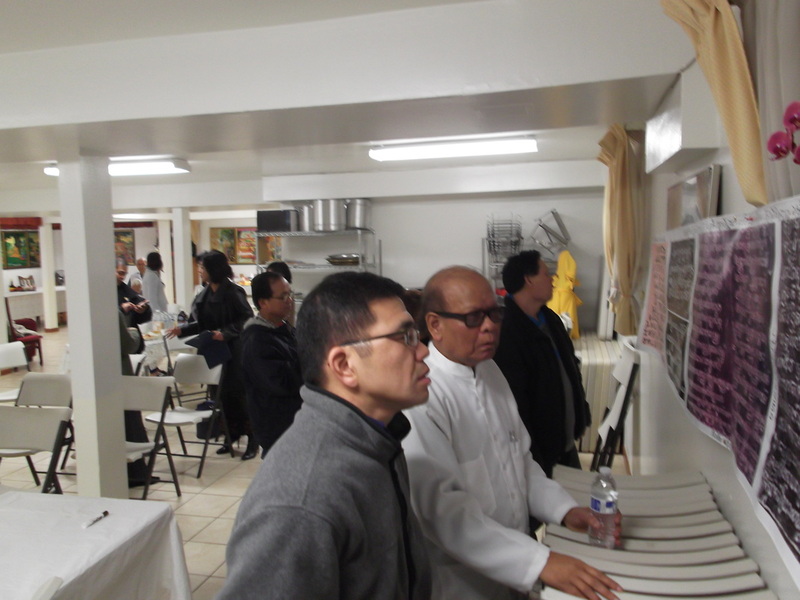 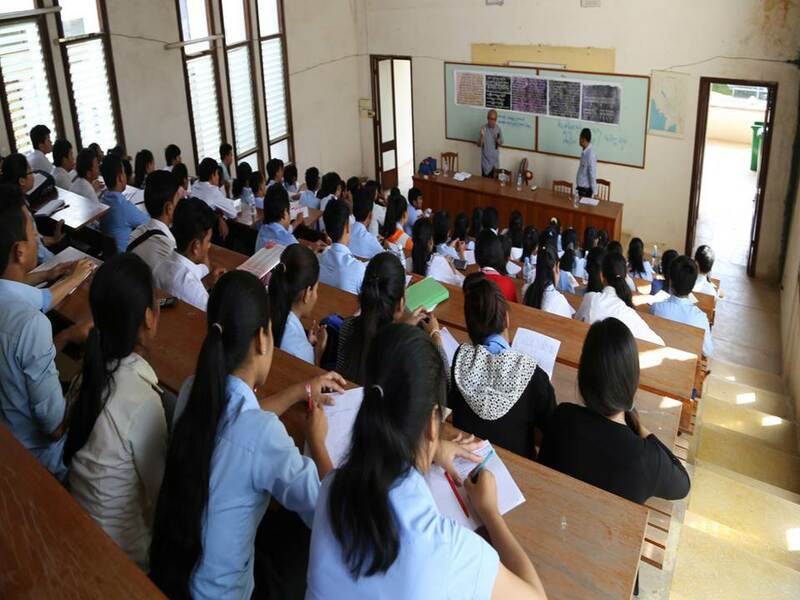 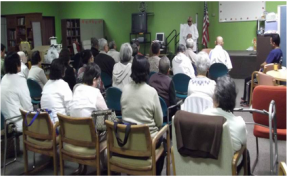 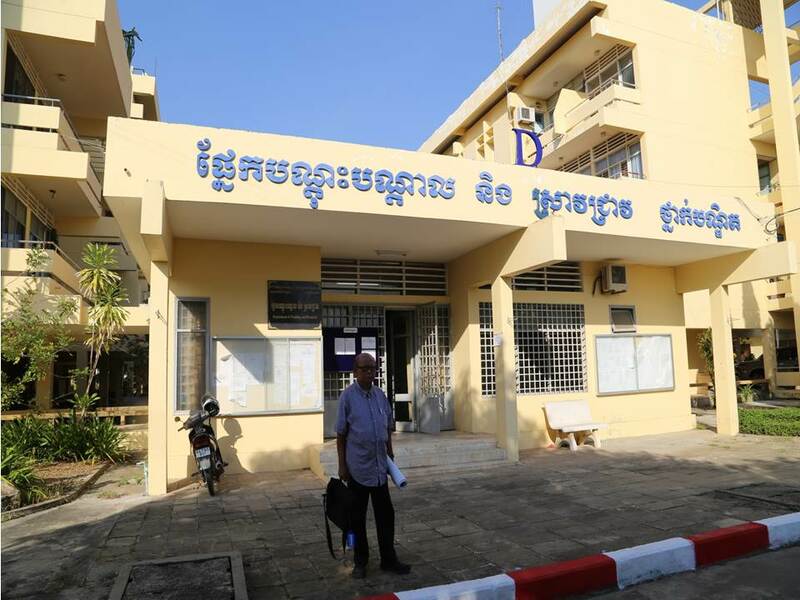 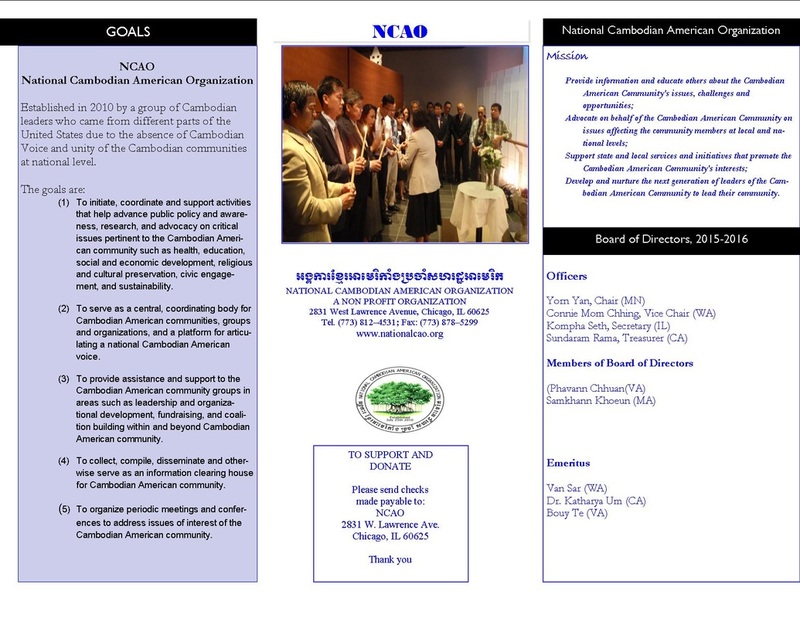 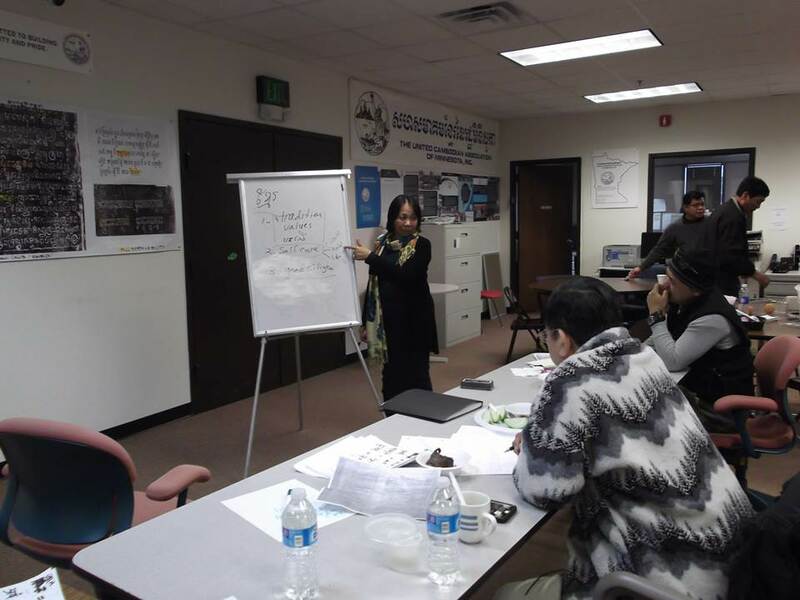 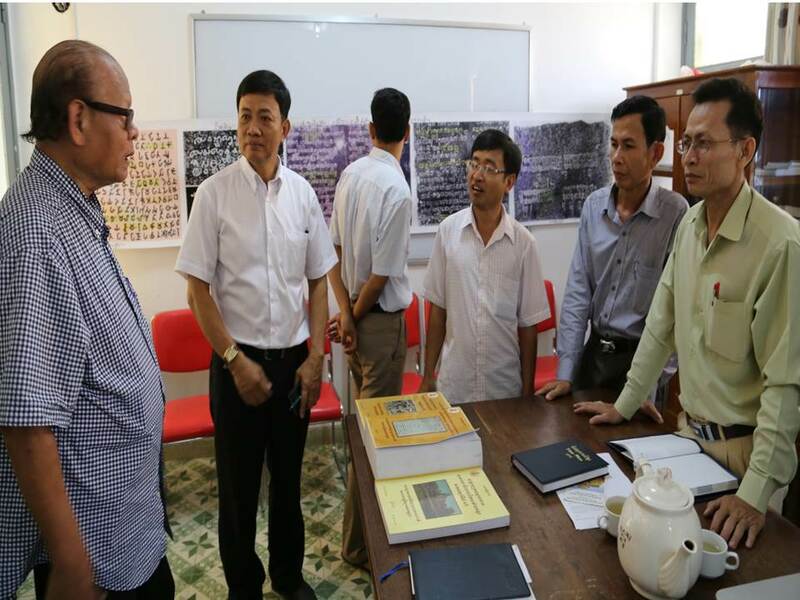 The philosophy and the works of CNC for the past 22 years will help to shape directions and the important works of the National Cambodian American Organization for years to come. 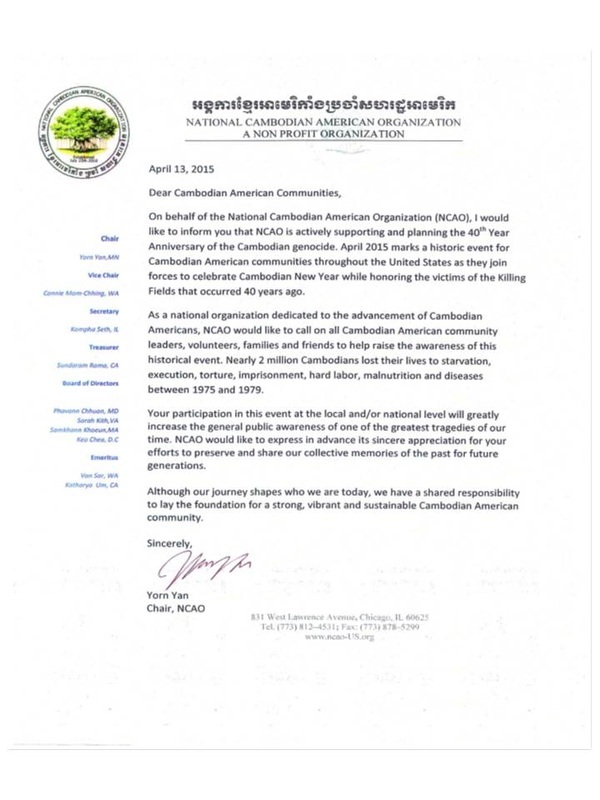 We (N.C.A.O.) 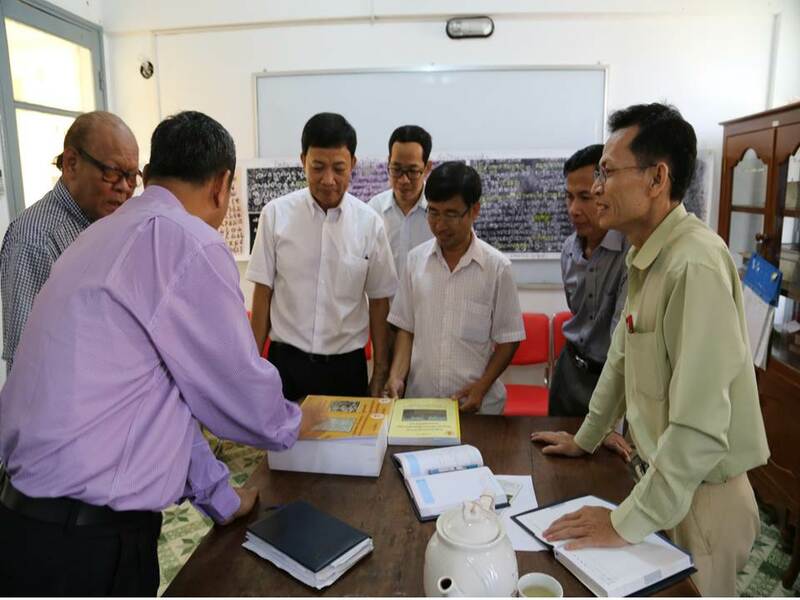 are well prepared to face new challenges and acknowledge that our works will not be easy, but with your support, we are certainly confident that our continued dream and hope will be fulfilled.